For instance, while conducting measurements of the mean plane of minor planets and KBOs, a team from the Lunar and Planetary Laboratory (LPL) at The University of Arizona discovered a warp in orbits of certain, highly-distant KBOs. According to their study, this warp could be an indication of a planetary-mass object in the area, one which orbits our Sun even closer than the theoretical “Planet 9“. The study – “The Curiously Warped Mean Plane of the Kuiper Belt” which is scheduled to be published in the Astronomical Journal – was produced by Kathryn Volk and Renu Malhotra (two astronomers with the LPL). As they stated in their study, the presence of this planet was confirmed by examining the orbits of icy bodies in the very outer reaches of the Solar System. 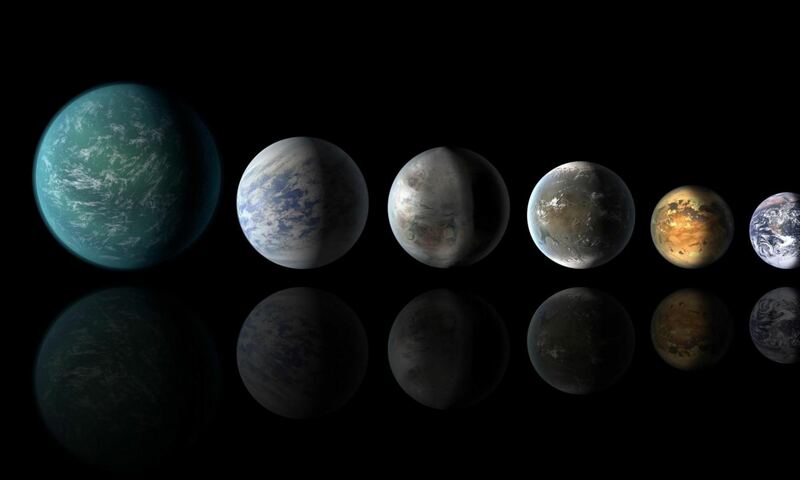 Whereas most KBOs – which are leftover material from the formation of the Solar System – orbit the Sun close to the mean plane of the Solar System itself, the most distant objects do not. To determine why, the researchers analyzed the tilt angles of the orbital planes of more than 600 KBOs to determine the direction of their precession – i.e. the direction in which these rotating objects experience a change in their orientation. According to their calculations, this Mars-size body would likely orbit the Sun at a distance of roughly 60 AU, and with an orbital inclination that was tilted eight degrees to the average plane of the known planets (i.e. the same tilt as the “warped” KBOs). Within these parameters, a planet of this size would have sufficient gravitational influence to warp the orbital plane of the distant KBOs to within 10 AU on either side of it. In other words, a Mars-sized planet in the outer Kuiper Belt would be able to influence the orbital inclination of KBOs that are between 50 and 70 AUs from the Sun. This is certainly consistent with what we know about the Kuiper Belt, who’s orbital inclination appears to be consistently flat (i.e. consistent with the rest of the Solar System) past a distance of about 50 AU – but changes between a distance of 50 and 80 AU. Another possibility is that another object entirely could have disturbed the plane of the outer Kuiper Belt – for instance, a star passing through the outer Solar System. But as Malhotra explained, this explanation is also a highly unlikely, as any disturbance caused by a passing star would only be temporary and would have manifested itself differently. Moreover, the tilt of these objects could not be attributed to the existence of Planet 9, who’s existence has also been suggested based on the extreme eccentricity of certain populations of KBOs. Compared to this Mars-sized planet that is thought to orbit at 60 AUs from the Sun, Planet 9 is predicted to be much more massive (at around 10 Earth masses) and is believed to orbit at a distance of 500 to 700 AU. Naturally, one has to ask why this planetary-mass body has not been found yet. According to Volk and Malhotra, the reason has to do with the fact that astronomers have not yet searched the entire sky for distant for Solar System objects. Beyond that, there’s also the likely position of the object (within the galactic plane), which is so densely packed with stars that surveys would have a hard time spotting it. However, with the construction of instruments like the Large Synoptic Survey Telescope (LSST) in Chile nearly complete, opportunities to spot it may be coming sooner other than later. This wide-field survey reflecting telescope, which is run by a consortium that includes the University of Arizona, is expected to provide some of the deepest and widest views of the Universe to date (which will begin in 2020). In the meantime, and in response to any possible controversies regarding the so-called “Planet Debate”, it is worth noting that this body (if it exists) is currently being referred to as “planetary-mass object”. This is because, by definition, a body needs to have cleared its orbit in order to be called a planet. What’s more, the study does not rule out the possibility that the warp could be the result of more than one planetary mass object in the area. 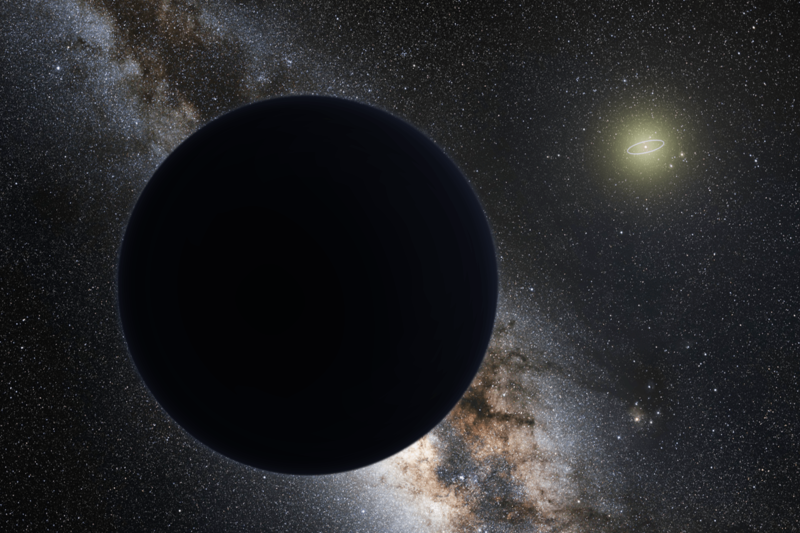 Therefore, it would premature to state that astronomers – having not yet even confirmed the existence of Planet 9 – are now talking about the existence of a possible “Planet 10”. In the coming years, more news and information will become available, which will hopefully help us put the debate to rest and agree on just how many planets there are out there! To mark the 11th anniversary of the spacecraft’s launch, members of the New Horizons team took part in panel a discussion hosted by the Johns Hopkins University Applied Physics Laboratory (JHUAPL) located in Laurel, Maryland. The event was broadcasted on Facebook Live, and consisted of team members speaking about the highlights of the mission and what lies ahead for the NASA spacecraft. The live panel discussion took place on Thursday, Sept. 19th at 4 p.m. EST, and included Jim Green and Alan Stern – the director the Planetary Science Division at NASA and the principle investigator (PI) of the New Horizons mission, respectively. Also in attendance was Glen Fountain and Helene Winters, New Horizons‘ project managers; and Kelsi Singer, the New Horizons co-investigator. Though Pluto is not officially designated as a planet anymore – ever since the XXVIth General Assembly of the International Astronomical Union, where Pluto was designated as a “dwarf planet” – many members of the team still consider it to be the ninth planet of the Solar System. Because of this, New Horizons‘ historic flyby was of particular significance.